In the 21st century, we must really take a step back and appreciate the advancements in technology or medical science when it comes to weight loss. We see it just about everyday online, on the television and on radio or print. There is always a new way to lose weight and keep it off. The latest weight loss trend making the rounds on news publications is called 3D – Lipo. So what is 3D – Lipo? How does it work? But more importantly, is 3D-Lipo for you? options, along with several methods that in effect destroys fat cells, while improving the appearance of problem areas. This includes areas such as the Cavitation, Cryolipolysis for fat reduction, Radio Frequency for skin tightening and Dermology for cellulite reduction. Basically, combining the treatments will mean less fat, tighter skin and less cellulite. What makes 3D-Lipo so appealing is it’s non-surgical and of course painless. There basically isn’t much of a recovery time, unlike real liposuction which comes with mild pain and a recovery time of around 2 weeks. For many choosing the lipo route, the 3D lipo sounds incredibly appealing. This is exactly why the Gastric Mind Band is so popular – you don’t need to go under the knife and it’s much cheaper. The new 3D-Lipo solution suggests there is no more need to struggle with your weight. It steers away from the “diet” mentality, which again is so incredibly appealing. 3D-lipo is said to destroy fat cells, however unlike traditional methods that break the cells up and release them into the body. The machine used in 3D-Liposuction delivers ultrasonic waves that dive deep into the tissue. This then exposes the fat cells to high temperatures which results in rapid and total fat cell destruction. It does all of this without damaging the skin or other important cells. According to our research the cost of 3D-Lipo starts from £92 per session, and from what we can tell, it will take plenty of sessions for the desired results. But the next question we must ask is how quickly does 3d lipo work? According to many popular website promoting the procedure, some treatments achieve immediate results, meaning some people will only need one treatment. However, many people will require additional treatments to achieve the results they want over a longer period of time. What are the results from 3D-Lipo? The apparent obvious results are lost inches, along with cellulite reduction and firmer skin. Is 3D liposuction worth it? Because this is a relatively new procedure, it’s actually difficult to weight the results as either good or bad. Regardless, when it comes to weight loss of any kind, weight loss hypnosis gets the results you need without any sort of machine coming near you. We honestly don’t know how safe in the long run this could be or in any case of effective. In many ways, the new technologies coming out in the weight loss industry are starting to take on the non-surgical approach. Just like non-surgical lipo suction, the Gastric Mind Band is non-surgical incorporating empirically proven Cognitive Behaviour Therapy techniques. However, the difference between the two procedures are very different. 3d lipo non surgical liposuction makes use of machines within a clinical setting. As stated above, the non-invasive liposuction focuses on specified areas, mainly including the Cavitation, Cryolipolysis for fat reduction, Radio Frequency for skin tightening and Dermology for cellulite reduction. This non surgical liposuction will require a few appointments with the possibility of several more. The Gastric Mind Band is non-invasive and non-surgical. We’ve designed a unique programme/procedure through weight loss incorporating a number of proven therapies that produce the permanent results you are after. We know weight loss is one of the hardest things to achieve no matter your age, but with the right approach and re-training your brain to think differently, you can see and of course measure the difference in a matter of days. in virtually all cases, a psychological issue. It can be described as a learnt behaviour, with the prime example being that people are not born obese. Another point worth making is people are rarely overweight simply because they eat too much, or are inactive. If that was the case, it would be relatively easy to rectify, and the global problem of obesity would not exist. In some cases it can be tracked back to childhood; parents stating “clean your plate, then you can leave the table”, or “finish your meal then you will be rewarded with a treat, maybe ice cream”. In other cases it can be connected with depression, or a wide range of other cognitive situations. During the GMB treatment we ask clients: “Do you eat when you are tired, lonely, depressed, bored, or to reward yourself or maybe just to please someone else? We’ve got several pages dedicated to answering your questions about the GMBand programme, including our FAQ page. We urge to go through or clinical studies and view our clients incredible success stories. Read just why over a thousand people have travelled around the world to visit the Elite Clinic in Spain. As always, we are here to answer any additional questions you may have. 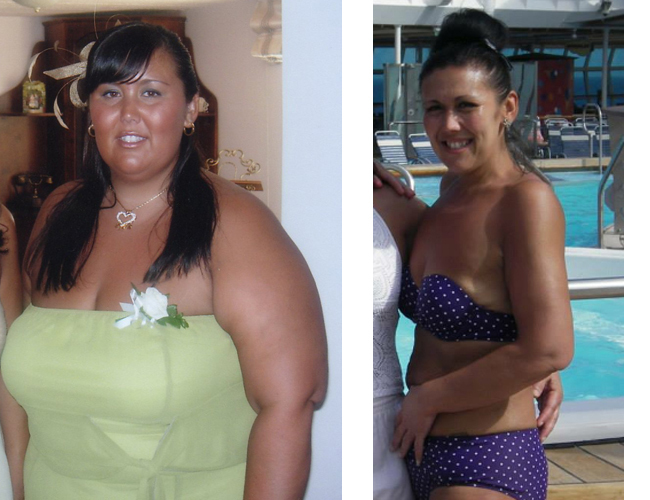 Take a look at our case studies and testimonials and find out for yourself the successes involved in the Gastric Mind Band. What do you think about 3D-Lipo? Have you had the treatment? We’d love to hear from you.